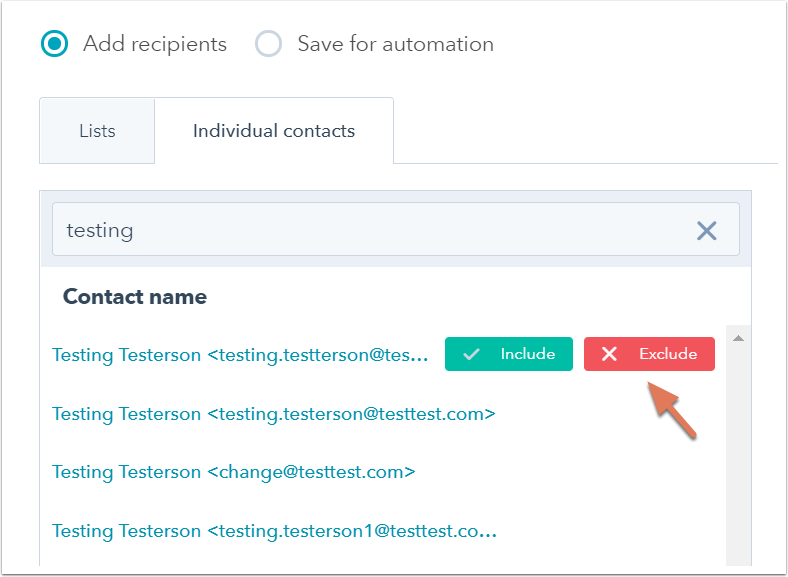 When you select recipients for a marketing email, you can exclude specific contacts or lists from receiving the email. Hover over your email and click Edit, or create a new email. Use the Lists and Individual contacts tabs to search for recipients to exclude from the email. Hover over the lists or contacts you'd like to exclude and click Exclude. Please note: if a contact is included as a recipient on the Individual contacts tab, they'll receive the email even if they're a member of a list you're excluding. Any excluded lists or contacts will appear in the Don't send to section.